In a few weeks I am going to be releasing my FIRST EVER printed writings. It's been a long time coming & I am excited to see what comes from this "against my normal tendencies" adventure I am on. 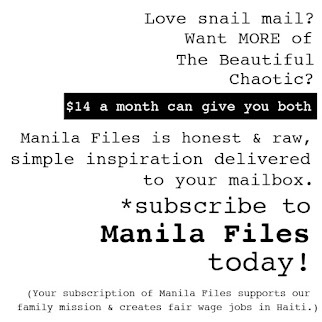 The Beautiful Chaotic: Manila Files will be coming soon to a MAILBOX NEAR YOU. Okay, hopefully YOUR mailbox. Manila Files goes against my normal tendencies in just about every way possible. No proofreading 75 times, no perfect edits & grammar policing, no carefully framed photos, no worrying about saying awesome or incredible too many times, no glitz, no glam. Manila Files will be stripped down to the bare minimum. Each month I will release my writings from the month before as a $14 monthly subscription. I'm talking print it off, staple it together, slide it into an old school manila envelope, slap a mailing label on it and send it off (across the ocean-more details about this at the end!). No fancy lettering on the envelope, nothing I am used to-but, I think everything I NEED. I am allowing myself to proofread each entry only once to make sure I didn’t leave out a sentence or spell a word spectacularly wrong. There will be errors. There will be ramblings. 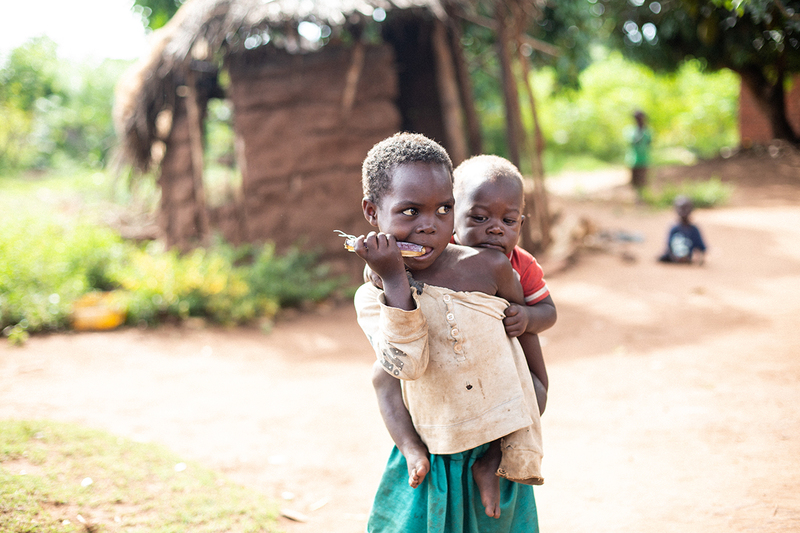 It won't always be cohesive, but it will be LIFE shared openly. I am going to learn to embrace it. My hope and prayer for The Beautiful Chaotic: Manila Files is that people will be inspired and transformed by the power of faith, hope, laughter & love found in living life for Christ. I firmly believe what the world needs more of is the reality of raw life, lived out and displayed for others to see. Perfectly imperfect. That is what I hope happens with Manila Files. My dream is that each month my readers would look forward with excitement at getting their copy of my monthly Manila Files IN THE MAIL. 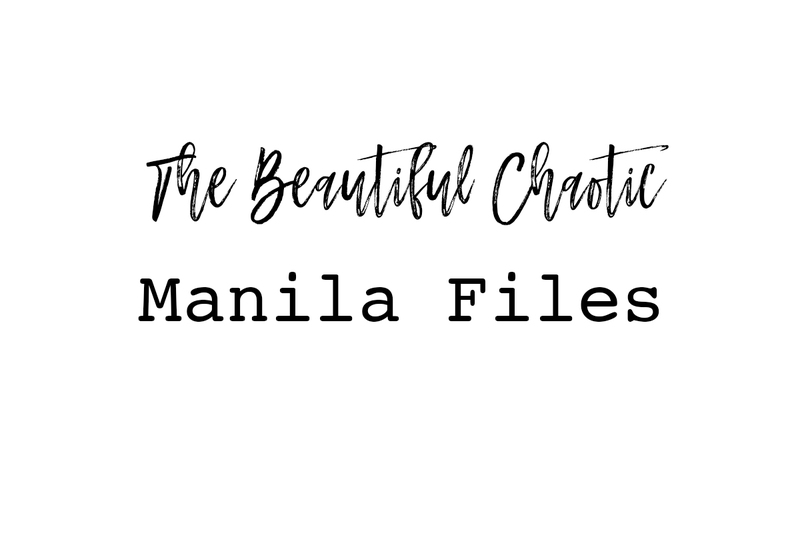 I truly feel The Beautiful Chaotic: Manila Files is God’s way of getting me to do something that I normally wouldn’t do so that it is all about what HE is doing in my life & around me and nothing else, and so that I will actually do something I have always dreamed of doing. Our world has become so fast paced & perfect from the outside. You can have your clothes shipped to your house, your groceries picked up in a drive thru, any question you want answered at Google’s beckon call. Social media is taking over our world by storm & there are certainly days I wish we could go back to the old school ways of rotary phones & pagers. Manila Files is my attempt at doing just that. I prefer to read paper books and get snail mail, and I hope that some of you will also find the charm in this wild endeavor of mine. I will write about life, faith, parenting, marriage, poverty, things I probably should keep to myself and definitely hard things that need to be said. 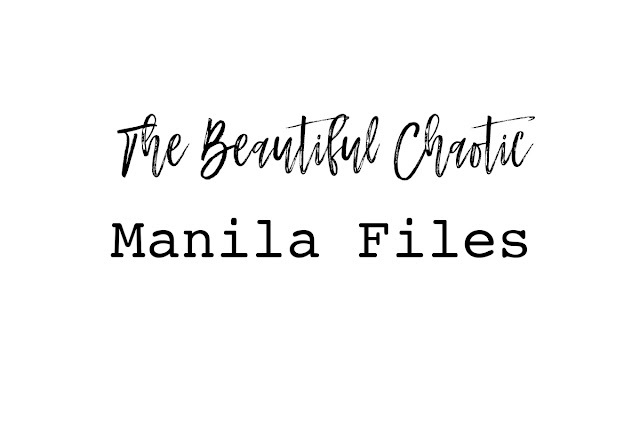 So, if you want to get in on The Beautiful Chaotic: Manila Files coming to YOUR mailbox, let me know right away. The March 2019 edition will be shorter than the future files because I finally got the guts to go for it on the 17th. But, it will be a preview of what is to come. In YOUR mailbox. I think one of the things I am MOST excited about is that The Beautiful Chaotic: Manila Files will be written, produced & shipped FROM HAITI in a few months. 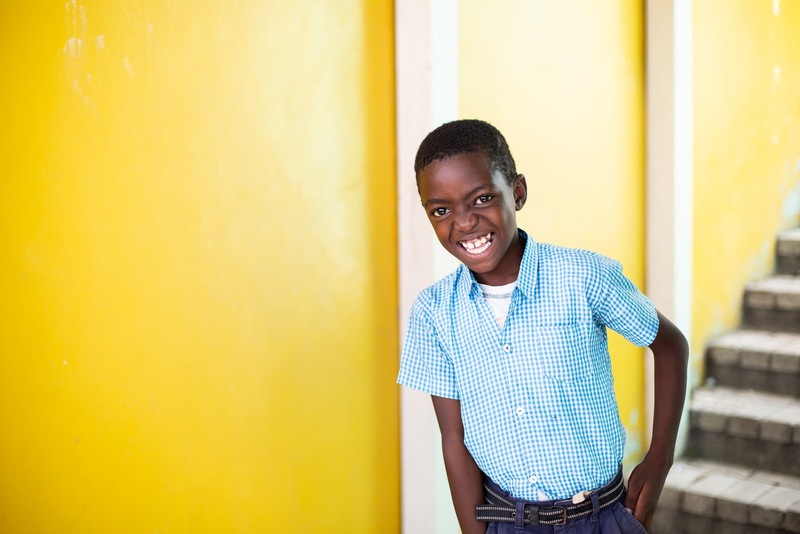 That’s right, the Rigelsky fam is relocating to Haiti at the end of this summer. We are selling our house, getting rid of everything we don’t need and getting back to the place that has stolen our hearts and wrecked our lives in the hardest & most wonderful ways. I will be writing all about the process of how we have come to this decision in Manila Files, as well as sharing about our daily life getting to & in Haiti. 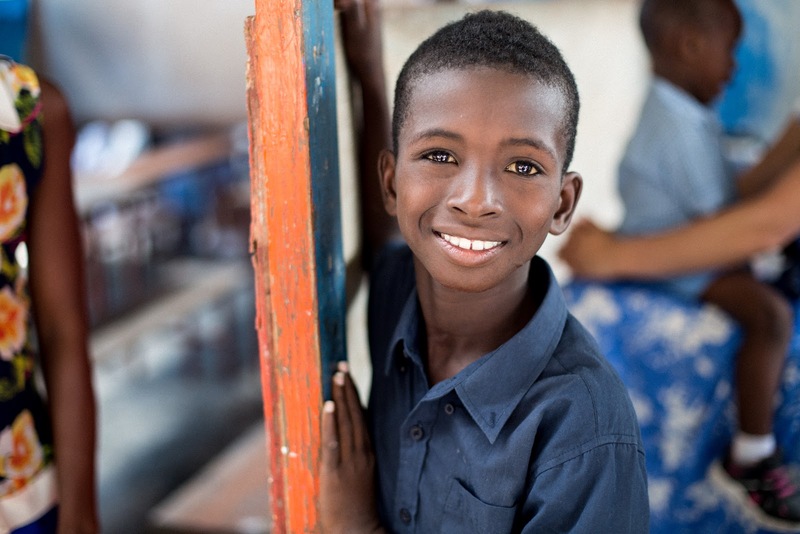 I am incredibly passionate about creating jobs in Haiti & this is one way to do so. GAHHHHHHHHHH I am so jacked UP about this. 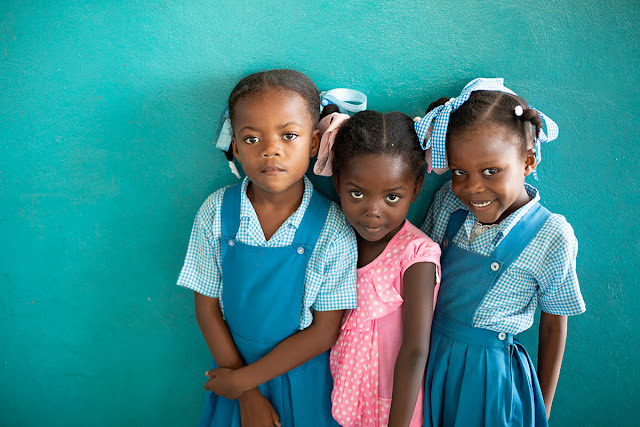 So, not only will you get inspiring (hopefully) snail mail, you will also be partnering with our family as we live on purpose in Haiti & be a part of creating jobs in Haiti, too!! WINNER WINNER chicken DINNER. Who wants to join me on this epic adventure through receiving The Beautiful Chaotic: Manila Files in YOUR mailbox? Click Manila Files below to subscribe TODAY!! !